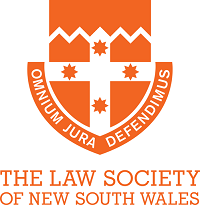 NSW Young Lawyers was established in 1963 as a Committee of the Law Society of NSW. Today NSW Young Lawyers is the largest body of young and newly practising lawyers, and law students, in Australia, with 16 Committees each dedicated to a particular area of law. Active, innovative and dynamic, we support practitioners in the early stages of their career development, giving them the opportunity to extend their network, expand their knowledge, advance their career and contribute to the profession and community. Membership is free for all young legal practitioners (including barristers) in New South Wales under 36 years and/or in their first five years of practice, and law students. Hear what our members have to say. Membership will conclude at the end of the year when a member turns 36, or at the end of their first 5 years of practice, whichever is the later event. NSW Young Lawyers offers over 50 years of experience and expertise to help law students and graduates through their legal education, and the early stages of their career. NSW Young Lawyers gives students the opportunity to gain first-hand insight into the profession that they will soon be part of. It is a great opportunity to get involved in meaningful forum for change, expand their knowledge and network with link-minded professionals in a social environment.